Isn’t that the message of Christmas? Yes we about to enter the Season of Advent again. A season of busyness, parties and celebration with work colleagues, friends and classmates as we anticipate that long awaited summer holiday — or is it? Our response to that partly depends on how we choose to spend this period as we lead up to Christmas and what we have experienced during the year. I enjoy Christmas and all the Christmas services. They of course require considerable preparation. For me to enjoy this I need to start preparing early in the season, rather than leaving things like shopping until the last minute which adds stress for everyone. Every year the traffic is increasing and the parking becomes more challenging and people seem to become increasingly stressed. It is important that we remember the purpose of Advent — the time to prepare ourselves for the coming anew of the Christ Child into our lives. It is a season when we are to remember what that wonderful first Christmas gift brought into the world. The gift of the Christ Child was for everyone. I am sure to almost every parent and grandparent the birth of a baby is a very special day but the birth of the Christ Child came for all. He came to change our world bringing peace, hope, joy and love to all. Why are these four words used in relation to looking forward to Christmas? The Christ Child came into the world at a time when there was conflict, war, injustice and oppression — similar situations that exist in many parts of our world today. The acts of terrorism experienced throughout the world dominate so much of the world news. We must continue to pray for peace in our world. The Christ Child was born to bring hope for all people, acceptance, compassion and tolerance as we seek to make the church a safe and welcoming place for all. When we achieve this for all people we will find true joy and love. Christmas Day should be all about love, family and friends as we share in the birth of the Christ Child anew in our hearts. Over the season of Advent there are a range of services where we tell the story of the first Christmas. As part of our ministry review the vast majority of those who responded indicated that they had not invited someone to join us for an event at church. Over Christmas and the weeks leading to this special day there are a range of different services and musical performances that may appeal to people of different ages, who may appreciate a deeper understanding of the Christmas message if they are invited to join us. Maybe they would enjoy sharing with the young children or joining in the singing of the old Christmas favourites. Encouraging young families to join us was another area that may be a focus for us. Joining us for the 5pm Christmas Eve Children’s Service could be a good point to start. There will be notices in the church foyer for you to give to people who you think may like to be invited to join us. Bob and I wish you all a very blessed and happy Christmas season. If you are travelling, please take care. Anyone who wishes is welcome to join us at these services. The Parish office will be closed from Monday December 2 until Monday January 14, 2019. This year I had my long-awaited sabbatical leave. I spent most of that time in Britain. It was the furthest I had ever travelled and the longest I had ever been away from home. It was exciting — although a little intimidating at the same time — I had a few sleepless nights in the lead up, wondering what on Earth had possessed me to think that stepping out of my life for 10 weeks was a good idea! While I was away, I had wonderful experiences and lots of learning but about seven weeks into my trip I began to miss home, friends, family and all that was familiar. As I looked forward to coming back, I pictured the things I longed for — my own bed, my own bathroom, being with the people I love and care about — particularly my two sons. Imagining what it would be like to arrive home helped me to focus on what I still had to do. The picture of what we hope for is often what keeps us going in life. It keeps us focused in the present as we move purposely towards it and the future. In our reading from Isaiah this morning, we see a picture of hope and promise. The image is of a banquet feast of finest food and wine where God removes the cloud of suffering that hangs over God’s people, where their tears are wiped away and all the things that threaten them are removed. For a people struggling under oppression, it is a picture of promise to encourage them to keep going. It is both a hope and a vision to work towards. Indeed, this vision of hope is also present in our New Testament reading. The passage from the Book of Revelation also paints a picture of the time when God will wipe away all tears of suffering, where death will lose its sting and all things will be made new. It is present also in our Gospel reading as we heard of Jesus raising Lazarus from the dead. In the midst of suffering and grief, where Mary laments Jesus’ late arrival to heal her brother, we see hope break through as Jesus’ miracle declares that even death will not be the final word in God’s realm of love and peace. In the midst of sorrow, Jesus breathes hope and healing. In what becomes a precursor for his own resurrection, Jesus raises Lazarus from the dead, saying, “unbind him and let him go”. In this miracle, we not only see that the love of God is more powerful than death but it is the task of Jesus’ friends to do the unbinding and set him free. It is a profound image of the resurrection life that we are called to live as his disciples. It should come as no surprise then that we reflect on this narrative on the festival in our church calendar we call All Saints — a day in which we remember those who have gone before us in the faith, who inspire us, and give us hope as we live as saints of God today. People are often surprised to hear that we too are saints. We tend to think of saints as those in the Bible or Church history who did great things — those of great moral courage, kindness or discipline who set examples for the rest of us. However, the New Testament tells us saints are all those who have been baptised into Christ. Our word ‘saint’ comes from a Greek word meaning ‘holy ones’ a word which stems from a Hebrew one meaning ‘set apart’ for God. In Baptism, we are set apart, consecrated — named, called, and commissioned to be God’s children; Christ’s partners and co-workers in the world. It is why the apostle Paul begins his letter to the Ephesians with the words, “to the saints of Ephesus — the faithful in Christ Jesus”. Therefore, because God has set us apart and called us ‘saints’, through our Baptism, we join with all who have gone before us: to live in the hope that they did, to work in the world as they did, to bring God’s reign of love, peace and justice in the world. It is holy work, even when it seems ordinary and unspectacular. When we reach out beyond ourselves in acts of service to another, it is holy work. When we provide relief to those who are suffering or in need — when we act in compassion and love those who seem unlovable, it is holy work. When we live our lives each day in ways that communicate through word and action, the hope we have because of Christ — it is holy work. ● Identify those things to focus on as we move forward. In our workshops we will celebrate the things that are signs of life and health, and work together to think about what God may be calling us to attend to. We will think about the holy work we are called to as the saints of God in this part of God’s world. Christ’s work in the world. salt of the Earth and light to the world. Praise God who gives us forgiveness and hope. May God bless us as we consider what this calls us to be and do in our lives, both individually and as the Church of Christ. The stalls on the day raised $3627.40 and the Sewing Group banked $623.90, making the day’s total $4351.30. This is around the same as last year’s total but we didn’t have the number of larger furniture items. Well done. We have now completed the first phase of the parish review and will be looking at what we can do to enhance the life and ministry of the parish. In February we will meet with Sarah Moss again to consider the next steps. To me there are a couple of themes that I am looking at. 1. A very few people have invited people to church events. Regularly I have people saying “Oh I wish I had known I would have liked to come to that”. I am preparing a card with all of the services, children’s events and musical performances on it. I am hoping people will help us to distribute these remembering that the personal invitation accompanied by the card, as a reminder, is most effective. Many of you will not be aware that we do put cards giving our December and Lent programmes into our local motels. I appreciated some playgroup mums sharing with each other how they enjoyed the 5pm Christmas Eve service and also the little Nativity play that we do at our breakup for Oasis. 2. Young families at church is another challenge. Hopefully the promotional material referred to above may help with this. I am also looking to offer a three-day holiday programme, from 12.30pm until 3.30pm, towards the end of January before school goes back. I will be looking for support with this — help in the kitchen with food organisation, help with crafts and help with clean up at the end of each day. I am looking for volunteers to help with the planning of this. Please let me know if you can assist. 3. Enhancing communication is a third aspect. Again the first suggestion will help with this. However I am keen to hear from anyone who has the time and interest to help us to set up a messaging system going out to mobile phones as a reminder of events. This would help promote parish breakfasts, working bees etc that people may miss by not being in church on a particular Sunday. It can also help people feel more connected and part of the parish family. 4. We will be having a meeting with Sarah Moss to discuss our plan for the next year. This will take place on February 23. I am hoping as many people as possible from the vestry, ministry and worship team, with anyone else who is interested, will be part of this discussion. If you would be interested please let Jan know.  There will also be Carol singing at Pukekohe hospital and the Palms Hospital and an afternoon Eucharist and Carol singing at Possum Bourne Village. Order forms available in the Church foyer or the Parish Office. Please put your order into the Parish Office by Monday December 3. Delivery will be on Monday December 10. Spring has sprung a chilly start to the growing season at St Andrew’s communal food garden. The garden beds have all been topped up with compost and planted with a selection of seeds and seedlings. Except, that is, for the new raised beds made out of recycled shipping pallets — they need the soil to settle before planting up. The idea to use pallets came about when a parishioner asked for help with her container gardening endeavour. She was finding it ever-harder to bend down to work her garden. So a raised garden bed was built from four shipping pallets and installed near her back door. She can now continue to enjoy planting, maintaining and harvesting her garden without having to bend down. The pallet concept was expanded for the new garden bed at St Andrew’s. We used seven shipping pallets to construct a two-bay bed. At up to one metre deep, the beds are partially filled with logs pruned from our fruit trees last year. In the style of a Hügelkultur bed, the garden will be assured a continuous supply of nutrients and water as these logs decay. The top 300mm is filled with soil and matured compost, also sourced from the garden. The back half of the tall pallet bed is actually a compost bin which will supply the compost to top up the beds twice a year. Want to learn more? The Friends of the St Andrew’s Food Garden meet every Wednesday evening for an hour from 7.15pm to maintain the food garden. Do come and let us share our knowledge. With a dry summer being talked about, we want to establish a means of pumping water around the grow beds. My preferred approach, one in keeping with sustainability principles, is to install an old-fashioned cast-iron hand pump in a water trough to distribute the water from the adjacent rain water collection tank. Does anyone have an antique cast-iron hand pump, either working or in need of refurbishment, and/or a trough that they could donate to the garden? As Christmas time draws near. and bring joy to those you hold dear. And faith ring through every song. May he bless you all season long.